So good, I am listening a second time. 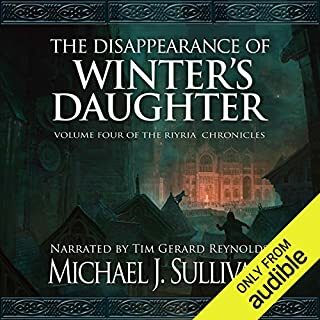 Rarely do I enjoy an audiobook so much that I will begin to listen to it a second time immediately upon the conclusion of the first read. This is one such book. The interplay between Royce and Hadrian is so humorous that I am constantly laughing out loud. Even on the second read. This book is just as exceptional as all the others in the series. 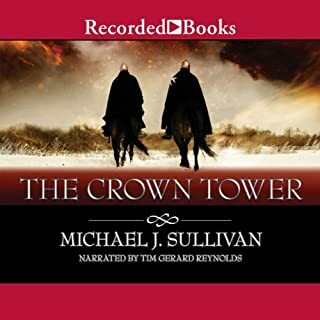 Honestly I was not sure if the time setting of the book would work, but although I have read all the books in the series, I found the suspense just as gripping as in previous novels. By the Way, thank you for the backstory on Hadrian. I love this series. Both Royce and Hadrian are characters that are so real. I laugh and cry as they come forge their friendship. Royce's dry wit keeps me howling even upon my third reading. The development of the minor characters' personalities is so well done that you left feeling that each fully fletched out. Please give us more of Royce & Hadrian.